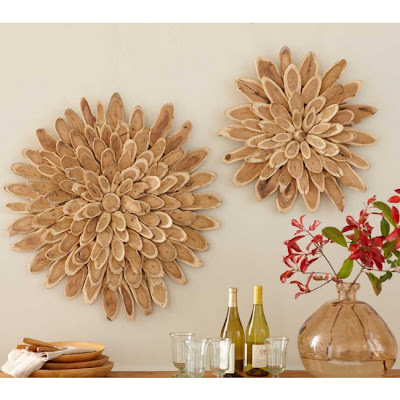 I've shared with you the flowers I designed and made from wood slices. Yesterday I was browsing back through some of my pin boards on Pinterest and I found this wall art piece pinned there. It is very different from the flowers I crafted yet so similar in materials. The description indicates it is from hand carved wood petals. I am not sure about the carving, looks like wood slices, just like the ones I made but cut on a more extreme angle. 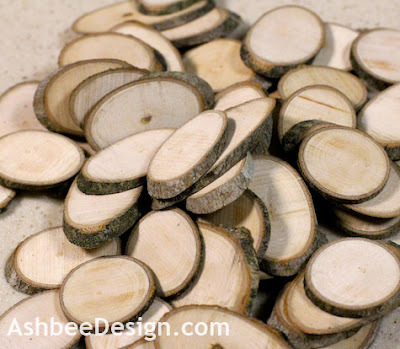 They have used mulberry and it has an interesting tree ring pattern which adds to the effect.